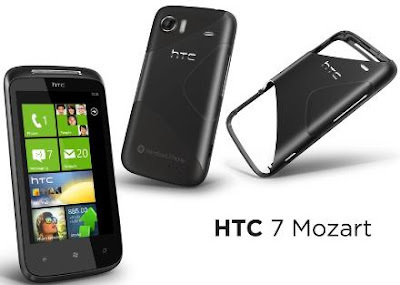 HTC 7 Mozart is an ultimate handset with smart features and chic design. It has been announced along with other HTC phones such as HTC HD7 and HTC 7Pro but it has all the qualities to stand apart and make a niche for itself. 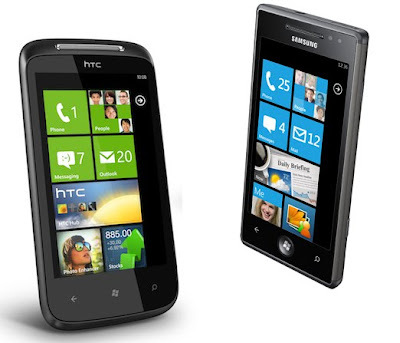 It is also a Windows 7 phone and runs on a similar 1GHz processor. It is entertainment-based phone and thereby it has an in-built 8 MP camera with Xenon Flash, MP3 & MP4 music players and a 3.7 inch WVGA S-LCD display to enjoy watching pictures, playing videos and typing messages on it. An integrated feature “Dolby Digital Surround Sound” makes the audio effect very much like of cinema in the phone. HTC Mozart is made from a single piece of aluminium and this stylish gadget is not just fashionable but also a good performer. It is slim and sleek and weighs as light as 130 grams. The HD Video recorder incorporated in the phone plays the recorded videos in MPEG4, 3GP, 3G2 and WMV formats. There is 2.1 stereo Bluetooth headset and universal 3.5mm audio jack for listening to music.There is 8192MB of in built memory segregated into 576MB RAM and 512MB ROM. It is particularly expandable to an upper limit of 8GB via a microSD card. There is a 1300mAh Li-ion battery packed in the HTC Mozart that is tipped at 6.75 hours of talktime. The HTC 7 Mozart is supported on Quad-band (850/900/1800/1900 MHz) and this phone works globally on GSM network. ON UMTS dual-band 900/2100 MHz), it has 3G capabilities. It is also a GPS enabled handset and gives its users privilege to navigate smoothly through unknown places with its help. Thanks to its new WP7 OS, users of HTC Mozart get easy access to Xbox Live for playing video games, Zune services for downloading music and Microsoft Office for carrying out the office work unhindered. The handset gives WiFi connectivity and this way HTC 7 Mozart smartphone proves itself to be the ultimate entertainment phone. HTC no doubt brings good handsets but the company still needs brand promotion in India.